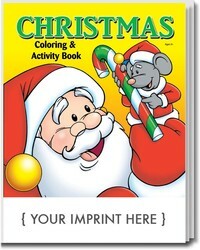 Christmas and Santa Educational coloring and activity books. 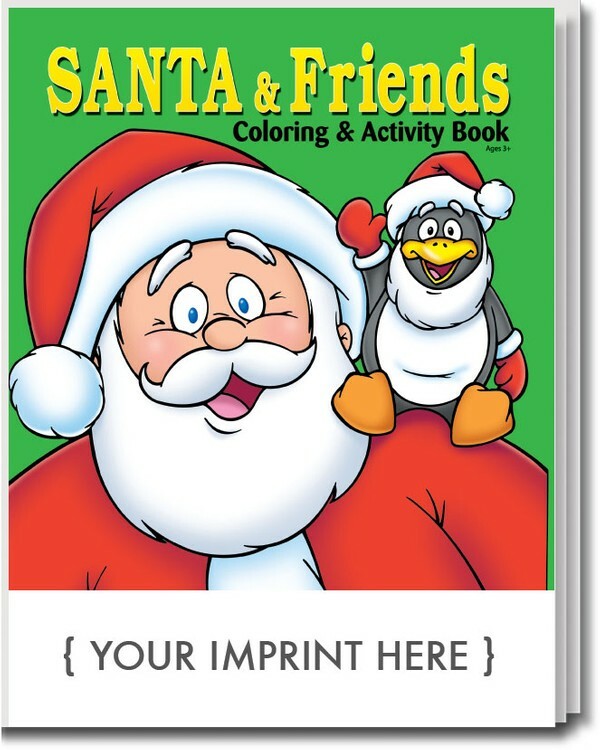 For children 3 years and older. 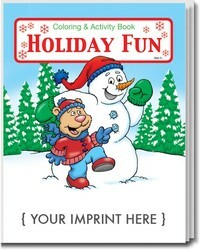 Holiday coloring books have 16 pages of Christmas, Holiday and Winter tips, instructions, words unscramble activity, maze activity, crossword puzzles and much more. 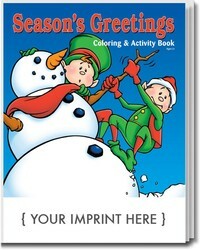 Full color front and back covers. 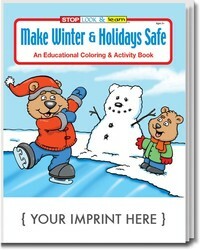 The front cover is imprinted with your advertising copy or logo. Printed in the USA. 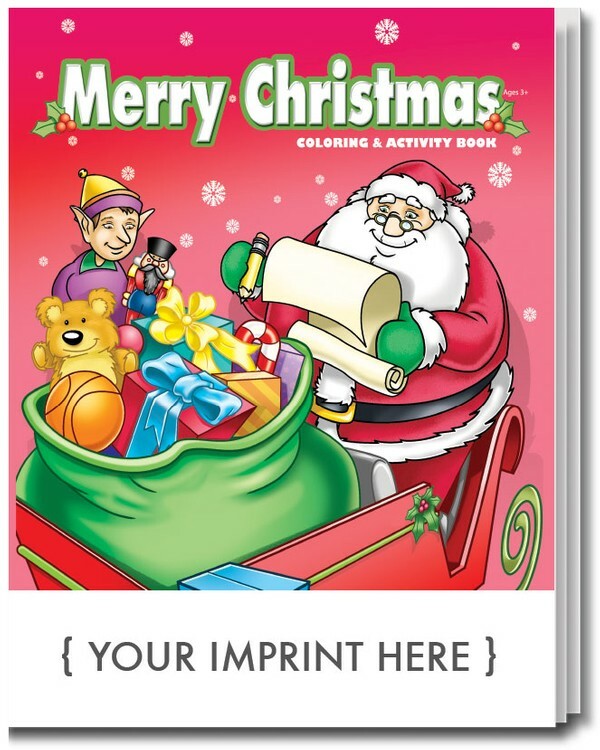 We sell Christmas Activity Pads Too.